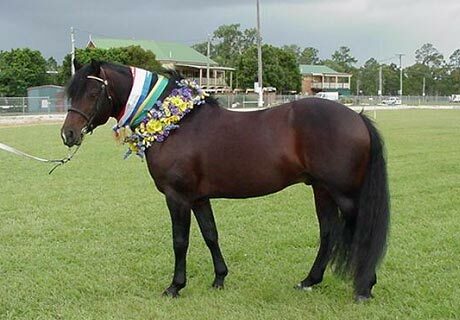 Shown above is Castle Baron , Winner of Connemara Stallion Championship, Supreme Champion Connemara, and Supreme All Breeds Pony of the Show at the Australian Stud Book Show in Queensland, March 20-21, 2004. 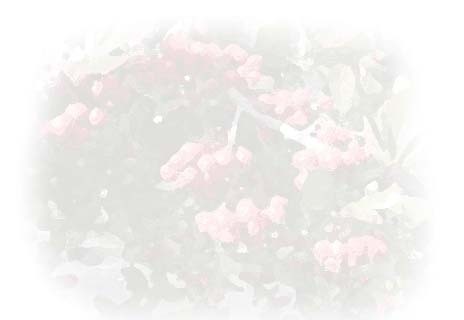 Castle Baron (“Henry”) is half-sibling of Thornapple Farms’ Connemara mare, Maumturk Heather (“Silky”). Both are sired by Abbeyleix Owen. The Connemara Pony is a native Irish breed that has evolved over 2500 hundred years hardy existence in the rocky terrain and often wild weather of western Ireland. Believed to be rooted in ancient European origins, the Connemara Pony’s ancestors likely arrived in Ireland with the early Celts. They were a necessary component of man’s own evolution on the island - work, pack, travel, warfare, and food. The ponies are hardy and adaptable and today valued for their athleticism, greatness of heart, intelligence and tranquility of soul. Ranging from 13 to 15 hands, Connemaras can do it all - Dressage, Jumping, Hunting, Combined Training, Combined Driving Eventing, Carriage, Pleasure Driving, Endurance, Herding, or just Teaching a Child to Ride. Connemaras range from 13 to over 15 hands. Their colors are gray, bay, brown, and dun, with some roans, an occasional black, chestnut, or palomino. Piebalds and skewbalds are not acceptable for registration. Connemaras are the product of their original environment, the rugged mountain coast of West Ireland. Sure-footed, hardy and agile, they possess powers of great stamina, staying power and adaptability. They are renowned for their versatility and their gentle, tractable, sensible and willing dispositions. Mannerly and manageable, kind, responsive, possessing good sense and basic intelligence. Rugged and sturdy; body compact and deep through the heart; with well sprung rib cage and broad chest. Straight and true both front and rear with free movement in the shoulders. Connemaras should move underneath themselves and should be sure-footed, athletic, and clever, covering a lot of ground. Kind eye, head well shaped and balanced in proportion to the rest of the body, neck of good length and definition, meeting the shoulder smoothly. Strong and muscular; some length of back is normal in Connemaras, especially in mares. Well rounded and deep with good length from the point of the hip through the haunch; should balance the shoulders. Clean, hard, flat, measuring 7- 8 inches below the knee for ponies, more for horses; forearms and gaskins long and muscular, cannons short and very dense. In 1935 at the International Horse Show, Olympia, London, the 15 hand overgrown Connemara gelding, THE NUGGET, became a legendary show jumper. At age 22, he cleared a 7' 2" jump and subsequently won over 300 prizes internationally, earning over 4,500 pounds sterling in prize money. At Madison Square Garden, New York, in 1939, the 13.2 hand Connemara, LITTLE SQUIRE, won the Open Championship by clearing fences of seven feet. The American Press dubbed him " the littlest horse with the biggest heart." DUNDRUM, Tommy Wade's 15 hand Connemara gelding became Supreme Champion at the Wembley Horse of the Year Show when he set a record by clearing a 7' 2" puissance wall. In 1961, he was regarded as show jumper of the century when he won five major events at the Dublin Horse Show. It was the first time in history that so many awards were won by the same rider, let alone the same horse! He was the International Jumping Champion from 1959 to 1963. STROLLER, a 14.1+ Connemara halfbred became the only pony to have ever competed in an Olympic Games. He was a member of the British Team competing in the 1968 Olympics in Mexico, ridden by Marion Coakes. Bill Steinkraus and SNOWBOUND won the Gold Medal while Marion and STROLLER won the Individual Silver Medal, only four points behind Steinkraus. He was one of only two horses to jump a clear round in the entire 1968 Olympics, clearing a puissance fence of 6' 10". 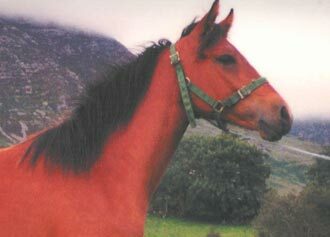 MARCUS AURELIUS, also known as The Bionic Pony, was a Connemara/Thoroughbred ridden by Mary Anne Tauskey. They competed in the 1975 Pan American Games as members of the USET which won the Gold Medal in the Three Day Event. In 1976, they were members of the United States Three Day Event Team; again, they were members of the Gold Medal winning team. In 1985, two of the top six Grand Prix USDF Horse of the Year Awards went to Connemara halfbreds. Lendon Gray has earned worldwide recognition while riding the Connemara/Thoroughbreds, SELDOM SEEN and LAST SCENE in upper level international dressage competitions. Lana Dupont Wright has successfully driven her Connemara/Thoroughbred geldings in a number of international pairs competitions and two World Championships. Click in circle to see photo.